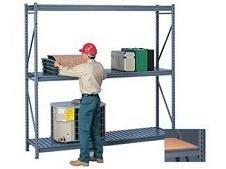 View our Pallet Racking Prices. 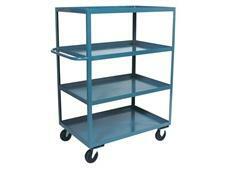 Bins & containers, carts, shelving, warehouse equipment & more! At Material Systems, we ascribe to the old-fashion tradition that "Service" drives business. To that end, we can assist with over thirty years' experience in the material handling field. Whether it's parts containment, transportation, storage, fabrication, testing or shipping, we have worked in that area. Our resource center can be compared to a small library. We have also documented many of our works in photographs. This is most helpful when comparing applications. You will find out for yourself that our pricing is most competitive and that our service is outstanding. Remember we also sell and take used equipment on consignment. Welcome to Material Systems, Inc.
At Material Systems, we ascribe to the old-fashion tradition that "Service" drives business. To that end, we can assist with over twenty years' experience in the material handling field. Whether it's parts containment, transportation, storage, fabrication, testing or shipping, we have worked in that area. Our resource center can be compared to a small library. We have also documented many of our works in photographs. This is most helpful when comparing applications. You will find out for yourself that our pricing is most competitive and that our service is outstanding. Remember we also sell and take used equipment on consignment.